More than half of charities in England and Wales have been hit by the recession, a survey has suggested. The Charity Commission found 52% of those questioned said they had been affected by the economic downturn - up from 38% in similar research last year. Almost two-thirds of charities with incomes greater than £1m said they were worried their work would be hit. Many of the 1,003 asked faced a drop in income alongside an increased demand for services, the commission said. One in three not-for-profit organisations said they had brought in measures to try to tackle the impact of the recession, the Charity Commission said. Some 14% were reducing costs, 11% increasing fundraising efforts and 6% drawing on reserves. In addition, 5% said they were postponing offering new services, while 2% had reduced staff numbers. However, just 3% said they had considered collaborating with another charity, while the same percentage had thought about merging. Dame Suzi Leather, chairwoman of the Charity Commission, said the impact of the recession on charities was "widening and deepening" but there was more they could do. "Not all charities are putting measures in place to protect their work and their funds," she said. "It is very surprising that more charities are not considering collaboration with others, as this can help them share expertise and costs." Some charities have already been forced to cut staff and reduce services as they try to cope with difficult economic conditions. 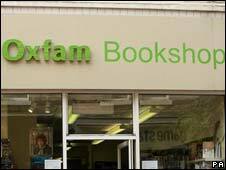 Oxfam told the BBC last week it had seen donations plateau and had been forced to cut jobs as a result. However, it pledged its humanitarian work "would not suffer", although longer-term development projects would be adjusted, it said. Shelter also said it had been hit by legacy (gifts made in wills, most often property or shares) and corporate income dropping, although it says regular donors are still giving very generously. The NSPCC has launched an emergency appeal because it has seen domestic violence cases rise while its direct debit payments have dropped by 15%. The charity has shut 12 of its 174 centre and made some staff redundant. Last month, the government announced it would put £40m towards helping charities in order to assist people through the recession. The plan, for England and Wales, will include awarding grants to deprived areas, establishing a volunteering scheme and creating funds to help non-profit organisations merge. Carol Goldstone Associates questioned 1,003 charities in England and Wales in February for the Charity Commission survey. Have charity donations been hit by the recession?